Whether they are small ones or large ones, the ability to bring them into reality requires two things: one is imagination, the other is courage. Imagination allows us to create something from nothing. 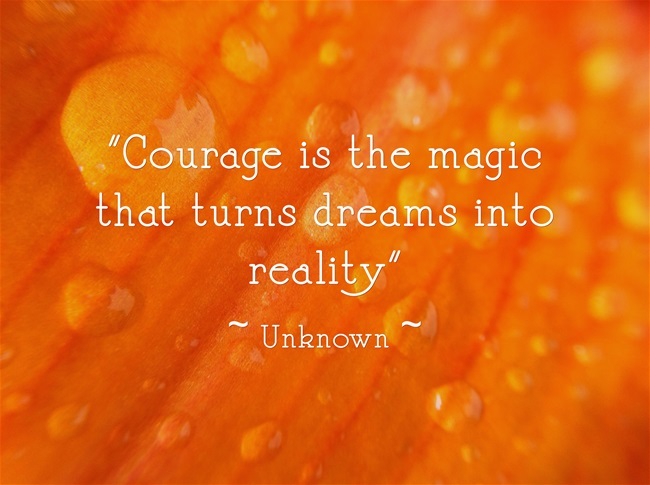 Courage comes when we truly take the necessary actions to make it a reality. Take some time today and think about a time when you created something from nothing, and the courage it took to act upon it and capture the information in your journal.